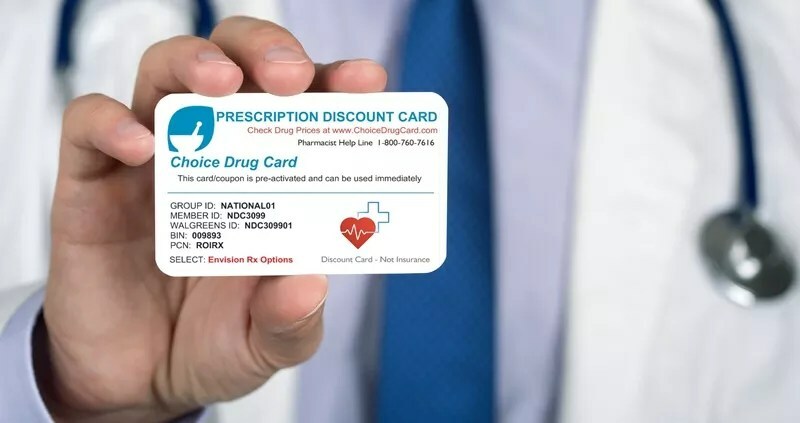 Get Your FREE Discount Drug Card that is ready-to-use and begin using it instantly at participating pharmacies nationwide, including most large chain drug stores like CVS, Walgreens, Rite-Aid, Kroger Pharmacy, Walmart Pharmacy, Sams Club, Publix Pharmacy, Giant Eagle Pharmacy, Meijer Pharmacy, Target, K-mart, Safeway, Costco as well as your local pharmacy. Use our drug price search tool and find the our cost for your medications. Are your prescription medications affordable? Our prescription assistance program offers you a 100% FREE Drug Discount Card that can save you money on name brand & generic medications. If you don't have insurance or your insurance plan does not cover ALL your medications - you can use our card. 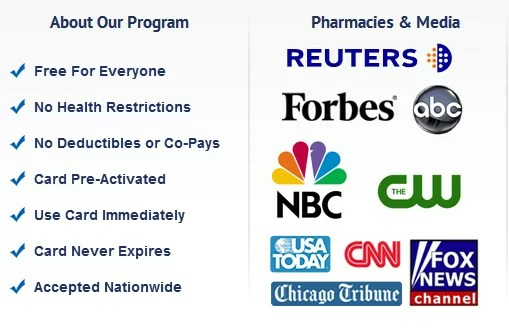 Our Drug Discount Card is used like a coupon, is pre-activated and can be used immediately! Instantly, for FREE Save up to 90% off your medications!